Meeting rooms in your coworking space are not only a necessity but also the second largest revenue stream after rent! 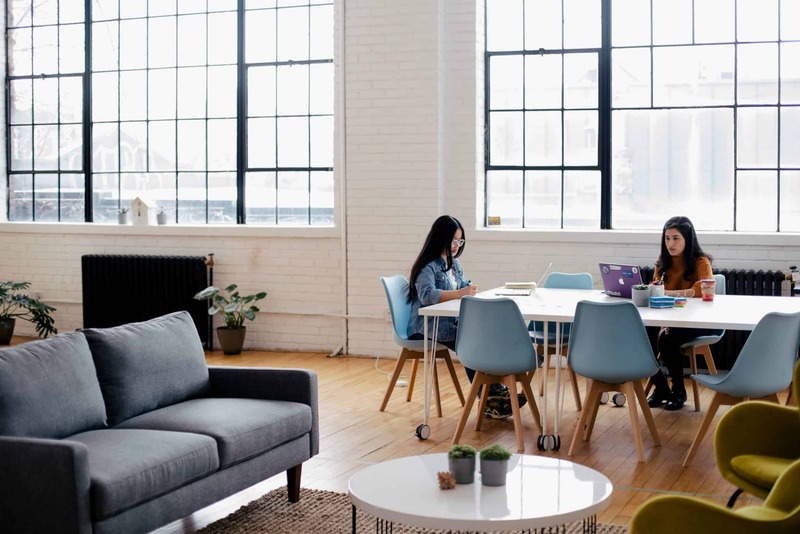 After you’ve planned how much and what types to have in your space, it’s important to know that, if well marketed, meeting rooms can increase your coworking space’s income. 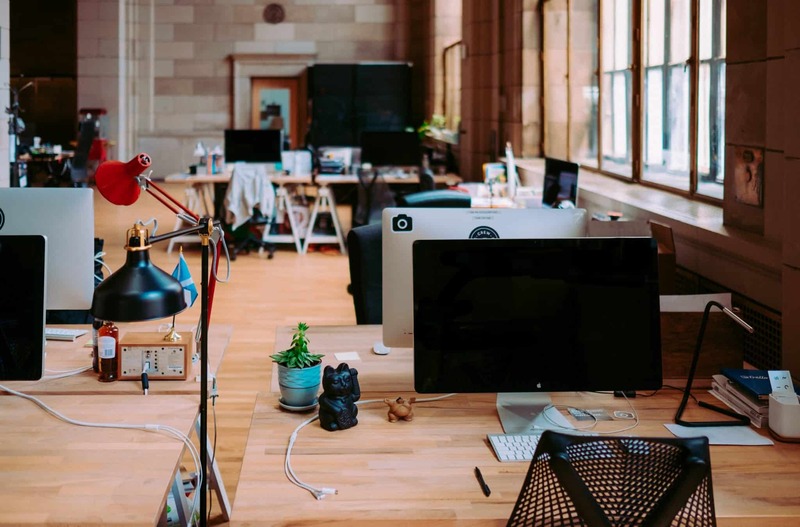 To successfully market your coworking space’s meeting rooms it’s crucial to invest efforts in several areas – from digital marketing to presentation, to maintenance, to promotion…the list goes on. In this blog post, we’ll cover 6 points that will help you attract more customers to your meeting rooms. But first, there’s an important distinction we want to make: your promotional efforts should be different if you’re focusing on people who are part of your community, or people outside of it. Marketing meeting rooms to your coworking members require fewer efforts as you’ve basically succeeded in the main challenge – you’ve brought these people to your space and they are already using them. Tracking and improving the usage of meeting rooms in your coworking space is a good way to encourage bookings and improve members satisfaction. You can add meeting room credits to membership plans, or offer discounts on conference rooms to virtual members. Also, it’s important to remove any friction from the process of booking, accessing and utilizing. Marketplaces like DaVinci, Liquid Space, and Meetingrooms allow you to reach more people than by relying solely on your own channels. These websites generate tons of traffic on a daily basis so they can connect you with lots of potential customers. They have filters like location, capacity, amenities, etc, so people can get results that match their needs. The presentation here’s important. Make sure you’ve included enough information so people can understand what you offer, and photos, so you can stand out among all others on the list. 2/ Optimize your website for search engines AND people! The majority of people will initially reach you via your website. So, how do you make sure it’s easily discoverable? Working on your page content, page speed, URLs, meta descriptions, etc is the foundation. Here’s a good article giving a brief explanation (and a nice video included) on the SEO essentials it’s good to focus on. 📍 Bonus tip: Focusing on local SEO is an awesome idea, as web searches for meeting rooms in almost all cases include a specific location like “meeting rooms in London”. We’re not diving into this specifically in this post, but here’s a good guide on what local SEO is and how to take advantage of it. There are several reasons to invest time in creating a content strategy like reaching your target groups and driving traffic to your website. Blogs are just one of the tools that can do that job. Tips, how-tos and any other information that’s useful for the people you want to attract to your space have a great impact not only on optimizing for search engines but on your overall brand reputation. We spend significant time on our mobile devices, so the chances people will visit your website from their smartphone are high. Mobile friendly websites are ranked higher by Google and provide visitors with a better experience while browsing. Besides for search engines, optimize for people! Include on your website all the information a potential customer would need to make a decision. After all, if they don’t know what you sell, they’ll won’t buy. Make sure to include location, rates, meeting facilities, room capacity, even parking/public transport instructions! If you offer additional services or amenities, make sure to point that out. Eliminating any friction in the booking process is key to increase chances people will eventually book. Make booking easy, intuitive and quick! It’s a good idea to make bookings possible at any time. Sometimes people need to book a meeting room urgently or it’s late in the evening and they need a room for the next morning. A good way to achieve this is to expose the live availability of your meeting rooms to the public and allow people to directly make a booking. You can do that with a number of scheduling tools, including OfficRnD’s meeting rooms management component (example screenshot below). The famous quote “A picture is worth a thousand words” totally applies here! The idea here is to give a detailed presentation of your meeting rooms, so people can get a better and more complete feeling of them while browsing your online images. Make sure you have great, high-quality photos. Hiring a professional photographer is a good idea. He/she will know how to capture the space from the right angle, with the proper lighting. The more interactive you go, the better. Think about making 360°photos, videos or virtual tours. They require more money and efforts, but they are totally worth it because they present your meeting rooms in necessary detail. 📍Bonus tip: Including people in the photos/videos will create a better, more human feeling when your website visitors browse your gallery. Everything from cleanliness, to amenities, to properly working multimedia/ventilation! You don’t want to ruin a business meeting because of a lost HDMI cable or broken AC during a heatwave. Listen to people and respond to their needs. Maybe a need for soft drinks has popped up in the last minute. Or they’ll need an additional flipchart. Let people know they can reach out to you if they need something. Even if they need a service that you don’t usually provide, it’s still worth it to go the extra mile. Probably it’ll be much easier for you than for them to organize their catering (as you probably know good suppliers from different events you’ve hosted). People will appreciate that gesture. Make sure to welcome your external guests when they arrive or pre-arrange access if they’re using your space after hours. They don’t know your space so make sure they know which areas they have access to, and how to find things like the kitchen or bathrooms. It’s also handy to be clear they know if they do or don’t have access to the community tea/coffee/snacks. 📍Bonus tip: Get to know the people who are coming to your meeting rooms. A quick chat with them about who they are and what they do is always a good way to learn how you can help each other in the future. The more people come to your meeting rooms, the bigger the chance they’ll think of you when their next meeting/event is coming up. Hosting public events can help you a lot! Think about what kind of event your target audience would be interested in and organize them. Giving discounts to people/professional organizations or even offering a room for free sometimes is another good way to promote your meeting rooms or just a great way to help out a local organization. Meeting rooms and event spaces are a great way to increase revenue and have new people coming into your space. Treat your conference rooms like the asset they are! Have you tried any of the approaches mentioned above? Share with us in the comments!